The Czech First League, currently named the Synot liga (betting firm) due to the sponsorship reasons is the top football division in Czech Republic, founded in 1993. The Czech First League was reorganized before the 1993/94 season, after the dissolution of former Czechoslovakia. Before that the best Czech and Slovak clubs played in the Czechoslovak First League which was the premier football league in the Czechoslovakia from 1925 to 1993, with the exception of the World War II. Czechoslovakia was occupied by German forces who formed Gauliga Sudetenland and Gauliga Böhmen und Mähren leagues on occupied territories. Until 1934-35 season no teams from Slovakia participated in the league. Czechs were allowed to run their own league in the Protectorate of Bohemia and Moravia, while Slovaks were granted their own independent Slovak State and created their own league. After the World War II the league was recreated. The Czechoslovak First League was dominated by clubs from Prague with Sparta Prague winning 21 titles, Slavia Prague 13 and Dukla Prague 9. The best Slovak club was Slovan Bratislava with 8 titles. The successors of the Czechoslovak First League are the Czech First League in the Czech Republic and the Slovak Superliga in Slovakia. The most successful club of the Czech First League is the same as the most successful club in the Czechoslovak First League – Sparta Prague. The club from Czech capital has won more than half of league titles (12), other clubs who have won the title are Slavia Prague, Slovan Liberec, Banik Ostrava and Viktoria Plzen, the best club in recent years. There are 16 clubs competing in the Synot Liga. Season starts in August and finishes in May. They play against each other twice, once at their home stadium and once away for a total of 30 games. The champion is the club who has the most points after 30 rounds. If two or more clubs finishes with the same amount of points, the head to head record between the teams is used for ranking, counting points in relevant games, then goal difference and then goals scored. 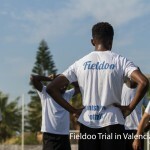 The Champions and the second best team qualifies for UEFA Champions League Third Qualifying Round, the teams placed 3rd-5th qualify for UEFA Europa League Second and Third Qualifying Round. The bottom two clubs are relegated to the Czech Second League and the winner and second placed team in Czech Second League is promoted to the Czech First League. Even though Sparta Prague is the best team in the history of the Czech First League, Viktoria Plzen is the best club in recent years. 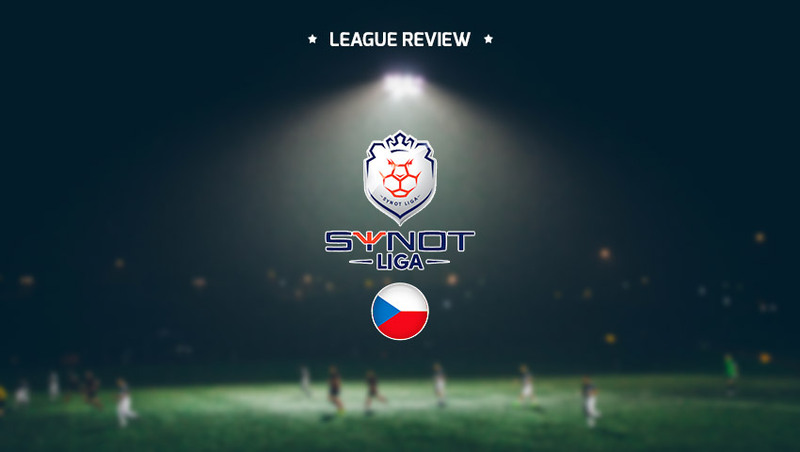 The club from the fourth most populous city in the Czech Republic has finished first in the last two seasons of Synot Liga. In this season, Viktoria finished first with 7 points ahead of Sparta Prague and 13 points ahead of Slovan Liberec. More interesting than the battle for the first place – in which Viktoria did not have any really serious competition – was the battle for the survival in the Synot Liga. Banik Ostrava was by far the worst team in the league, winning just 4 games and losing 24 (with two draws), but the battle to avoid 15th place that leads to the Czech Second League was very interesting. Jihlava, Teplice, Zlin Pribram and Sigma Olomouc finished within 4 points, the unluckiest was Sigma Olomouc who finished with 27 points, the same as Pribram, but was relegated because of the worse head to head record against Pribram. Interesting, even though Viktoria Plzen won the last two seasons of Synot Liga, Sparta Prague have by far the most expensive team in Synot Liga. Ladislav Krejci is their most expensive player (and the most expensive player in the league), Ondrej Mazuch and Borek Dockal, Krejci teammates are placed behind him in this category. Sparta also has the most players in Czech national team, other clubs with Czech national team players are Viktoria Plzen, Slovan Liberec, Slavia Prague and Bohemians. The best scorer in the history of the Czech First League is David Lafata, Sparta Prague striker who is also in the Czech national team. Czech Republic manager Pavel Vrba mixed the best players in the Czech First Leauge with the best players playing abroad and the mixture of home and abroad talent gave very good results – Czech Republic has qualified for the Euro 2016. 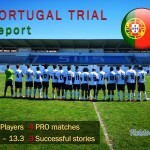 The average age in Synot Liga is 26 years which means that the clubs have a good mixture of young talents and experienced players. Share of foreign players is 24.2%, which is less compared to the leagues from neighboring countries. Stadiums in Czech Republic are not as full as clubs would want, average attendance is 5080, but when the derbies are scheduled, stadiums are full. There are a lot of derbies in Czech, such as inter-regional derbies between Sparta Prague and Banik Ostrava or Slavia Prague and Vitoria Plzen, but the biggest derby by far is Prague derby between Sparta Prague and Slavia Prague. The two clubs are the most successful and famous in the country and their dominance has led them to be collectively referred to as the “Prague S” in a similar way to the Scottish Old Firm.